It’s no secret that ultrasound probes don’t last forever. They get dropped, cables get run over, and sometimes they just go bad after years of use. A bad probe means immediate downtime and rescheduling of patients. 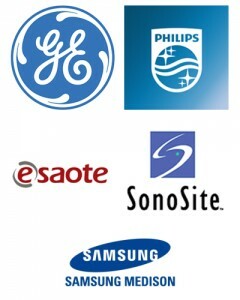 You have to decide if you want new, refurbished, or if you want to have your ultrasound probe repaired. There isn’t time in one day to do this all. 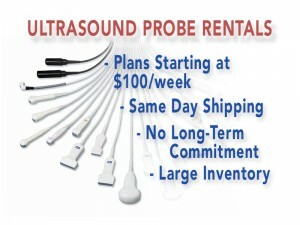 Our ultrasound transducer rental program offers you a temporary replacement probe that can keep you running. The low cost immediately pays for itself by saving you time, and the need to reschedule or send patients to someone else. At Providian Medical Field Service, we have thousands of probes available for short- or long-term rental. Our stock of probes range from nearly every manufacturer. It’s a risk-free way to try a different probe, fill in a short-term urgent need, an uninterrupted solution to down-time while your transducer is repaired. All it takes is a simple phone call and we can have your probe to you next-day. Call today at 877-661-8224 or submit the form below and get a free price quote on a rental ultrasound probe.